In 1982, Fr William Jukka, the parish priest at that time, compiled a “Silver Jubilee” booklet containing as much of the history of the development of this Catholic parish as he could discover. This booklet has been retyped and is available here as a PDF document. Our apologies for any remaining transcription errors. This booklet says “The first cinema in Poynton had been opened in 1922. It was built by Mr Bailey on land that until then had been an orchard. It was situated at the junction of Clumber Road and the ‘new’ Bulkeley Road opened in 1902. In 1923 Mr Bailey constructed a small cottage next to the cinema with a shop attached to provide his patrons with sweets and tobacco. Together and enlarged they now form the Presbytery. The cinema proved so popular and profitable that Mr Bailey decided about 1937 to build a bigger and better one on London Road which he called the “Brookfield.” The old cinema was converted into St Paul’s church in 1940 and gained its first parish priest in September 1957. 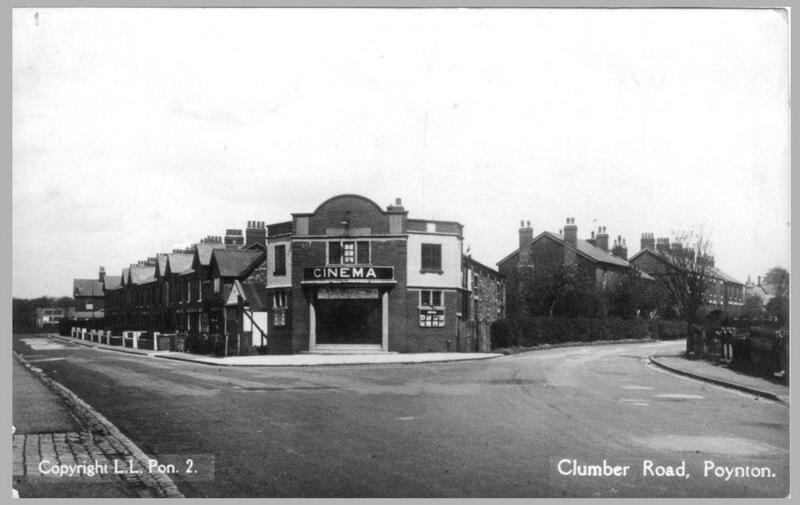 The old cinema photograph is taken from Poynton Old Photos on Facebook, click here Facebook Poynton Old Photos. The booklet is available in two forms:It is hoped that the history from 1982 will be compiled by parishioners in due course.